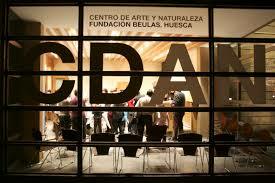 I will be a speaker at the International Conference: “Territories that Matter: Gender, Art and Ecology”, organized by Universidad Autónoma de Madrid, Centro de Arte y Naturaleza-Fundación Beulas (CDAN) and Ayuntamiento de Huesca, in the city of Huesca, Spain. On November 23rd and 24th 2018. The aim of this conference is to explore the intersections between contemporary art, gender issues, and political ecology. Since the 1960s, influenced by Second-Wave Feminism and ecofeminist theories, a great number of artists, specially women artists, have sought to transcend the traditional identification of women with the earth in order to consider, from a larger perspective, the complex interactions between gender politics and environmental issues. In recent years, artistic practices committed to feminism and the protection of the environment have been enhanced with new contributions: moving beyond the debates of early ecofeminism, feminist political ecologists suggest gender is a crucial variable – in relation to class, race and other relevant dimensions of political ecological life – in constituting access to, control over, and knowledge of natural resources, thus underlining the interconnection between patriarchy, colonialism, capitalism and extractivism. In addition, the new challenges of climate change act as powerful reminder of the social responsibility of the artist and the role of artistic education in promoting environmental ethics, while queer ecology and animal rights movements help us understand the relation between heteronormativity and speciesm.